Rastamouse: Fighting crime and now public opinion. It has become the biggest children’s show since the Teletubbies and now the most watched CBeebies show on the BBC’s iPlayer, Rastamouse, a Rastafarian mouse who fights crime in the community is at the centre of a race row after some viewers have referred to it as racist and others have even gone as far to say that it corrupts the English language. More than one hundred viewers have complained about the BBC’s new hit TV show, Rastamouse, an animation based on a musical Rastafarian mouse who fights crime in the community. 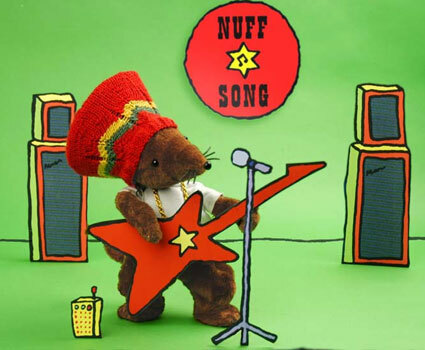 Rastamouse was an animation intended to appeal to Afro-Caribbean children with its focus on anti crime, music and educational lessons, but its huge appeal has attracted children from all races, making it the most watched children’s show since the Teletubbies and the most watched CBeebies show on the BBC’s iPlayer. Rastamouse, along with fellow crimefighters Zoomer and Scratchy, make up Da Easy Crew, and they fight crime on a daily basis. As the show was created for Afro-Caribbean children the voices of the characters are spoken in patois and this is one of the complaints by viewers. Another viewer said that the show stereotyped black people. According to The Telegraph report, the BBC received complaints from six viewers who said that the show stereotyped black people but the majority of viewers, 95 to be precise complained that the show promoted poor English. The comments of TinyD4dncer reveals just how problematic multiculturalism is in British society. In a Daily Telegraph article on April 2010, it was reported that schools were logging 40,000 racist incidents a year involving children as young as five years old. (Read 40,000 racist incidents a year involving children as young as five says report) From this angle one can understand the concerns of parents who fear their child may use racially offensive language or words towards another child. However, if the young generation are suppose to be the future and have less racial prejudices than their parents and grandparents, why does TinyD4dncer feel that her child’s use of patois may be misconstrued or misunderstood? It seems that despite over 50 years of immigration in Britain there is still no understanding between the races and that is a serious concern for a society which boasts racial and cultural tolerance. Another worrying aspect of the complaints was the overwhelming 95 viewers who complained that the patois on Rastamouse teaches young children bad English and slang. One has to wonder where these viewers have been living lately? Slang has been part of youth culture for some time now. Musicians use slang in their lyrics, television programmes aimed at the young uses slang as part of the dialogue. It would be surprising to find a young person that does not use slang these days. So were these viewers objecting to their children being exposed to patois, or just all slang in general? For in each case a parent would have to switch off the television, the hi fi system, the internet, etc. In other words the 95 viewers who complained about the patois as being non standard English have obviously no understanding of young people or youth culture in general. Rastamouse was created for Afro-Caribbean children, the fact that children from other cultures and races like the show is a testament to its creators and to Afro-Caribbean culture. For those who feel that this is not the show for their child, they can switch channels, it is that simple. This entry was posted in Entertainment and tagged Rastafarian mouse, Rastamouse, Rastamouse race row. Bookmark the permalink. Black people need to open their eyes and see that unless everything is done from a white point of view it will always be perceived as racist. Everything on the television promotes black people in a negative way. Rastamouse is educational, builds self esteem, shows black people in a positive light and proves that we are truly unique, therefore eliminating all the negative sterotypes we as a people are labelled with. To all of the Afro Caribbean people who are doing the right thing, please continue doing what you are doing and don’t give up! What exactly is a ‘race’? Except for disgusting terminology with direct links to the separation of species… I would have hoped we would be done with this word by now. I actually agree with you that the term race is a socially constructed term and has been used to separate humans, however unfortunately many people are seduced by the ideology of race science or race supremacy. You only have to look at how immigrants and other races are treated in Britain and Europe in general to see how race ideology continues to shape public discussion on these issues. It will be a long battle before this word is eradicated from human languages and terminology. Rastamouse is an excellent show. It sends out a positive message to children. Rastamouse fights crime using common sense and does it in a cool calm and collective way. The show has some cool beats and should not be taken off the bbc because some people don’t know what is good for educating children in a multicultural society. I bet the 95 complaints are mainly from people who are WHITE and ENGLISH who don’t understand the accent – who really shouldn’t be offended. I have a 5 month old son who has family from Jamaica and he loves it. OK the accents aren’t the best but I’d like him to watch more of this to get used to the way they speak and the way Da Easy Crew fight crime. Some people are so uptight!!! AT THE END OF THE DAY ITS A KIDS PROGRAM – IS IT REALLY GOING TO HURT??!! Makes you wonder if any of those people claiming the series would ruin children’s language actually have (or had) children themselves. I don’t know about other countries, but here parents, grandparents, aunts and uncles do a lot of baby talk’ with toddlers and small children. They use euphemisms, onomatopoeic words and so on. You could just as well accuse them of ruining their children’s language.Plus, I’ve heard (and read) English people speaking (writing) in such strong dialect to be nearly unintelligible to me. I’m sure they could have profited from watching some TV when they were children.